Pooja has decided to release Cabaret on digital platform ZEE5. 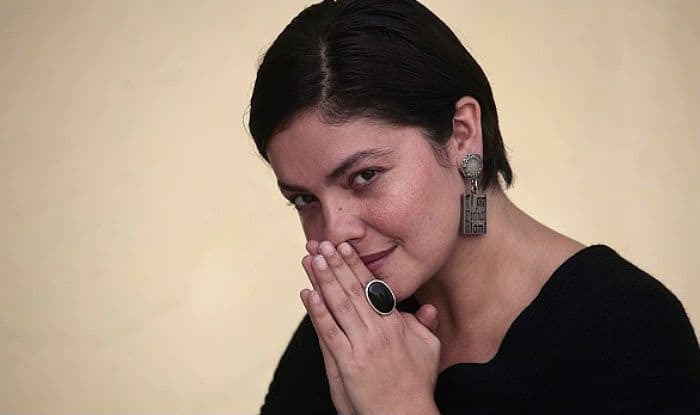 Pooja Bhatt, whose “Cabaret” is releasing on a digital platform, says the medium is not a step down for her as a producer. Pooja interacted with the media here to promote “Cabaret” on Monday. “Cabaret” was to release in 2016. It was delayed due to differences between the producers Pooja, T-Series and Wave Cinemas. Now, Pooja has decided to release it on digital platform ZEE5. Pooja said that in future, she would like to produce more films on digital platforms. “In fact, I will make an effort to release most of my films on digital platforms. I will plan more ways specifically for a digital release and not burden it with promotion and advertising budget. Talking about the row with her partners, Pooja said: “Everyone knows that two years ago, ‘Cabaret’ was going to release theatrically but I didn’t want to have a bad release for this film as a producer. “In today’s day and age, the film’s marketing and publicity is immensely important. Very often we spend more on marketing of the film than its making. When we decided to make this film that time, it was decided we will spend Rs 7.5 crore on its marketing. But later, my partners felt that we should only spend Rs 3.5 crore to promote the film. Pooja, who has produced films like “Dushman”, “Sur”, “Paap”, “Jism” and “Rog”, said “Cabaret” was destined to release on a digital platform. It will be out on January 9. Directed by Kaustav Narayan Niyogi, “Cabaret” stars Richa Chadha, Gulshan Devaiah, S. Sreesanth and Gulshan Grover.